The U.S. Securities & Exchange Commission (SEC) recently moved to finalize its proposed crowdfunding rule that would enable the use of small amounts of capital from a large number of individuals to finance a new business venture over the Internet. CFOs responsible for raising capital for their companies will cheer this new source of funding, but it also brings with it some challenges. The SEC’s action establishes a framework through which businesses and investors can invest in a company’s stock without being subject to some of the traditional rules governing publicly traded securities. It’s an historic change, but permanently allowing crowdfunding will have broad implications across the U.S. capital markets and their participants, particularly CFOs. The SEC’s action was prompted by the Jumpstart Our Business Startups (JOBS) Act, which has many provisions that shrink the regulatory burden for companies seeking to go public. 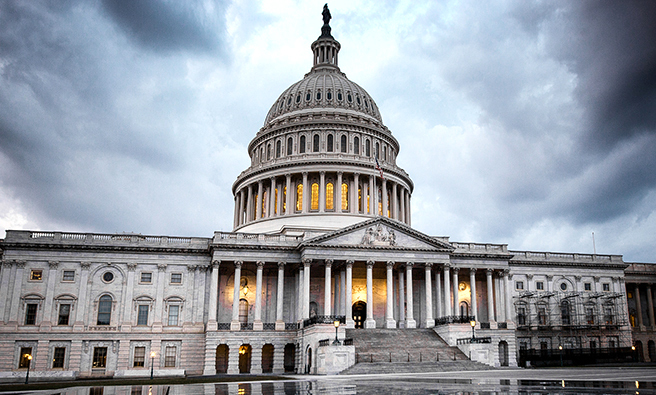 Title III of the Act includes certain provisions that theoretically pave the way for government-sanctioned crowdfunding. Specifically, Title III creates the foundation for a regulatory structure for start-ups and small businesses to raise capital through securities offerings via crowdfunding on the Internet. In addition, it offers a way for Internet-based trading platforms to facilitate securities transactions without having to register with the SEC as brokers/dealers. This original concept of crowdfunding is slowly being implemented. On March 25, 2015, continuing the rollout of specific regulations as mandated by the JOBS Act, the SEC amended Regulation A of the Securities Act of 1933, specifying two tiers for the maximum amount of funds that can be raised in a 12-month period through crowdfunding. Smaller companies, which make up the first tier, now have specific documentation requirements, such as disclosures to the SEC staff prior to the offering as well as periodic disclosures (such as event reports). The larger companies in the second tier must provide audited financial statements, and there’s a limit on the amount of securities that investors who aren’t “accredited” (that is, they don’t meet certain requirements for income and net worth) can purchase in a second-tier offering—no more than 10% of the investor’s annual income or net worth, whichever is greater. U.S. securities laws effectively banned crowdfunding prior to the JOBS Act because of the extensive registration and disclosure requirements imposed on parties seeking to raise capital from the public. Securities sales to certain types of accredited investors are exempt from these registration requirements because such accredited investors exhibit the sophistication to evaluate the riskiness of these investments. Crowdfunding differs from traditional private placement transactions because it involves small investments from less sophisticated investors and sales through online platforms, such as kickstarter.com and crowdfunder.com. Smaller firms that can’t bear the traditional costs of going public should be major beneficiaries of crowdfunding. Such firms could benefit from much higher liquidity of their stocks. In addition, crowdfunding can be beneficial to entrepreneurs, who may not have to give up as much equity interest in raising capital as they did with traditional transactions. Crowdfunding could also have macroeconomic benefits. In “Declining Business Dynamism in the United States: A Look at States and Metros,” a May 2014 study for The Brookings Institution, Ian Hathaway and Robert E. Litan suggest that the U.S. economy is becoming less dynamic. This may be caused, at least in part, by an increase in business rules and regulations in recent years. For example, there was a notable decrease in the number of foreign cross-listed firms seeking to register in the U.S. capital markets following the passage of the Sarbanes-Oxley Act of 2002 (SOX). In “Regulation and Bonding: The Sarbanes-Oxley Act and the Flow of International Listings” a January 1, 2008, working paper for the Rock Center for Corporate Governance at Stanford University, Joseph D. Piotroski and Suraj Srinivasan attributed this trend to the regulatory costs that SOX has imposed. Part of the biggest cost of initial compliance with SOX stemmed from its internal control provisions, such as Section 404, “Management Assessment of Internal Controls.” While smaller issuers (with a public float below $75 million) are exempt from Section 404, which is perceived as a serious cost of a public listing, their larger counterparts generally aren’t exempt. A recent study by PricewaterhouseCoopers suggests that the average initial cost of going public exceeds $1 million for U.S. firms and the ongoing average cost of being public is $1.5 million a year (see http://pwc.to/1G0cYk9). Access to crowdfunding without the usual compliance requirements would lower the cost of capital for small, underrepresented companies by reducing the costs associated with matching issuers with investors—in other words, increasing their recognition among investors. Proponents of the SEC’s crowdfunding rule have cited the increased ease with which businesses will be able to raise capital. Crowdfunding may help grow the economy and reverse the recent trend of decreasing dynamism in the U.S. economy. And one comment letter to the SEC supported crowdfunding because women-led start-ups aren’t getting access to capital from venture capitalists and angel investors (see http://1.usa.gov/1KxAEOQ). Only a very small percentage of the venture capitalist capital is going into women-led businesses. 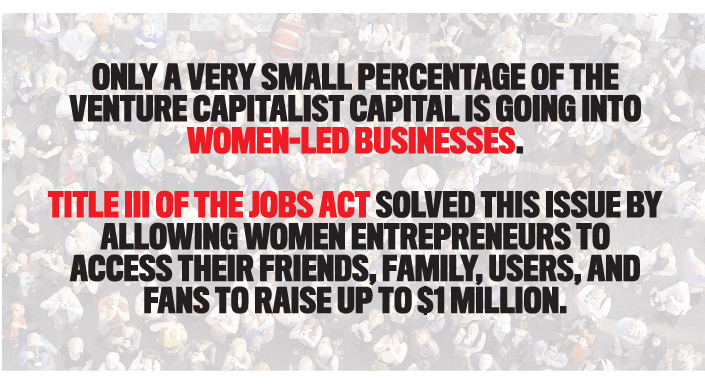 Title III of the JOBS Act solved this issue by allowing women entrepreneurs to access their friends, family, users, and fans to raise up to $1 million. This solved the problem of access to capital for women-led start-ups. Also, crowdfunding can benefit investors. The availability of crowdfunding could provide incentives for improved investor education and enhanced stock market participation. As nonprofessional investors decide to invest in an interesting idea through crowdfunding, they may be inspired to learn more about the accounting and financial concepts underlying the capital markets. In addition to increasing financial literacy, crowdfunding may increase the innovative spirit of investors as they decide that it’s worth pursuing their own innovative ideas in a relaxed regulatory environment. Despite the anticipated benefits, many critics question details of the SEC’s finalized rule or are simply against crowdfunding in general. Since these transactions will take place via the Internet, there is the risk that the website facilitating the crowdfunding transactions closes, fails, or is the victim of a hacker attack—resulting in a loss of data and investment losses for crowdfunding investors. Crowdfunding also may introduce additional liquidity risk since there may be no active secondary market for crowdfunded shares. As a result, investors may not be able to liquidate their shares without selling at a large discount. The concern that companies with inferior prospects or less transparency would choose crowdfunding instead of traditional methods of raising capital has some theoretical support. When investors can’t distinguish between good and bad investments, they may undervalue the good ones. In response, strong firms may take costly actions to convince investors that they offer superior value. For example, they might follow the more rigorous, traditional route for securities underwriting and regulation process. As a result, weaker firms will be more likely to raise capital using crowdfunding channels, the simplicity of which will be more likely to attract less sophisticated investors who don’t demand the revealing company information disclosed in traditional securities underwriting. And like all investors, they could be caught in a speculative bubble if the stock price of a crowdfunded company loses touch with its financial performance. In addition, there is a danger that corporate malfeasance, such as accounting fraud, may be another negative effect—and a significant obstacle to the success of crowdfunding. Relaxed underwriting rules may be accompanied by decreased scrutiny of the companies raising capital through crowdfunding, leaving the perhaps relatively unsophisticated crowdfunding investors even more vulnerable to financial loss than traditional investors are. 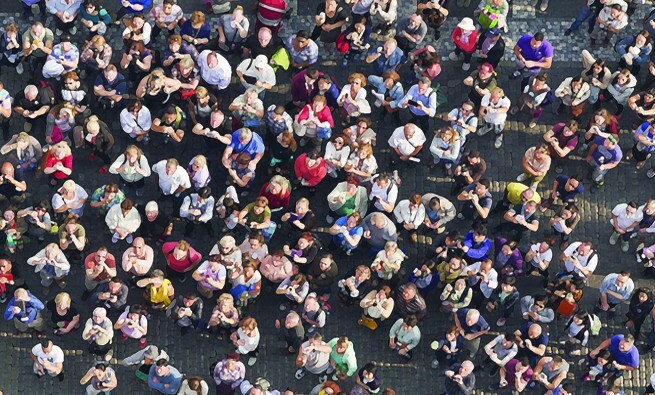 One possible remedy for potential fraud associated with crowdfunding is the effective use of online communities that enable various parties to monitor and provide ongoing feedback for a crowdfunding project. Under the JOBS Act, companies will be limited to raising $1 million in any 12-month period through crowdfunding. Companies can’t crowdfund on their own but will have to engage an intermediary registered with the SEC. These intermediaries will be subject to a number of requirements. Individual investors also will be limited in the amount they can invest by way of crowdfunding in any 12-month period. If an individual investor’s annual income or net worth is less than $100,000, the investment amount allowed is $2,000 or 5% of the investor’s annual income or net worth, whichever is greater. If the investor’s annual income or net worth is more than $100,000, the allowable investment amount is 10% of the investor’s annual income or net worth, up to a maximum of $100,000. The SEC is responsible for writing the rules that govern how companies can use crowdfunding to raise money from investors and that set out the responsibilities of intermediaries. These rules will include what must be disclosed to prospective investors before they decide to participate, as well as requirements for how intermediaries will operate. The proponents of the finalized rule often cite the need for broader access to capital by smaller entrepreneurs and tend to downplay concerns for the welfare of less sophisticated investors. This line of reasoning generally focuses on the idea that the investors who take the crowdfunding route usually “know what they are getting into” and are therefore more likely to be informed about risks. While this argument could have some credence from a policy perspective, we believe that the SEC has been following a wise route in taking time to forge a regulatory model that attempts to minimize the obvious risks of crowdfunding for less sophisticated investors. Crowdfunding sites provide investors with only stripped-down information, compared to traditional filings. Therefore, we think the greatest threat is that less informed investors won’t be able to make adjustments for risk because they lack the appropriate information. 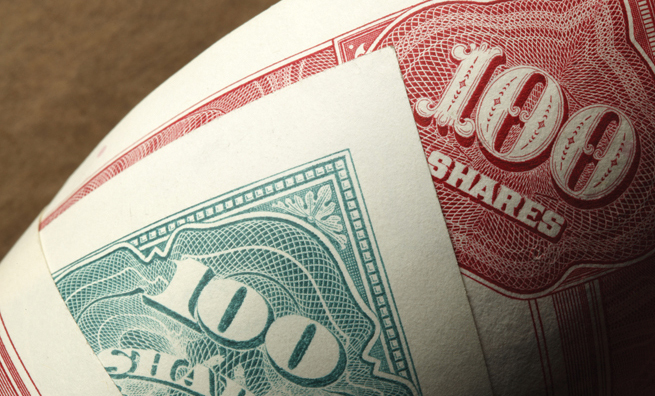 If a company’s shares can’t be bought or sold quickly, it lowers the purchase price. That price reduction, called the illiquidity discount, is typically 30% to 35%. On the surface, the availability of crowdfunding vehicles reduces the illiquidity discount of a privately held firm. This process reduces the cost of capital. But this reduction of the illiquidity discount won’t necessarily last through later rounds of financing. Initial crowdfunding may not make it easier for first-round buyers to later sell these privately held investments—it depends on whether over-the-counter (OTC) exchanges develop for shares of firms that use crowdfunding. OTC markets do develop for privately held shares of “hot” companies that may go public with large initial public offering (IPO) valuations, but OTC trading may not occur for the smaller companies that are most likely to seek crowdfunding. In other words, crowdfunding could increase firms’ ability to raise capital from the first wave of investors, but those early investors may suffer more illiquidity than expected when they try to resell their shares. Later potential investors may hesitate to buy secondary market shares for a crowdfunded company that hasn’t consistently demonstrated strong growth potential since its initial round of crowdfunding. Early crowdfunding investors may find that they overpaid in the light of new information available to later investors. Firms seeking crowdfunding have incentives to provide high-quality information to potential investors. Managers of smaller crowdfunding firms will face fundamental demands for higher-quality disclosure. Perhaps as crowdfunding rules evolve, smaller firms seeking crowdfunding-based financing will face less extensive disclosure than what is normally required. Yet according to a September 2012 paper from PwC, “Considering an IPO?” these firms will likely have to submit to minimal levels of expected credible disclosure eventually, such as providing a document like an offering circular for small issuers under Regulation A of the Securities Act of 1933 that the SEC would review or providing audited or reviewed financial statements and periodic quarterly reports. The firms may even have to hold conference calls with investors. At the very least, they probably will have to provide some credible disclosure on crowdfunding websites. Providing such credible disclosure is costly. CFOs of companies seeking crowdfunding will have to internalize and commit to basic financial disclosure practices similar to those of a public firm, such as using sophisticated accounting and forecasting systems and employing high-quality audit firms. 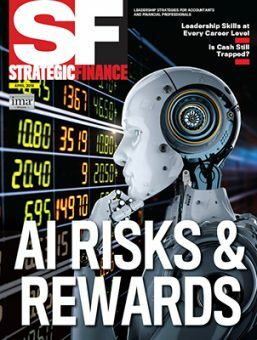 What will distinguish them from firms that seek to go a more traditional IPO route is perhaps not needing to invest in more formal governance mechanisms, such as independent audit committees, high-quality boards of directors, and formal internal controls (which potentially wouldn’t be cost effective for them). A significant and somewhat controversial aspect of financial disclosure is its relationship to litigation risk. Firms have a duty to update investors, especially if impending news is negative. In an article for the Spring 1994 Journal of Accounting Research, “Why Firms Voluntarily Disclose Bad News,” Douglas J. Skinner gives some evidence that early disclosure of bad news reduces a firm’s risk of litigation. But an article in the November 2011 issue of The Accounting Review by Jonathan L. Rogers, Andrew Van Buskirk, and Sarah L.C. 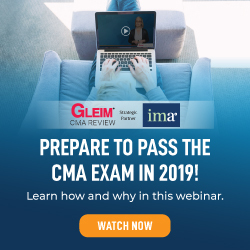 Zeckman, “Disclosure Tone and Shareholder Litigation,” reveals that waiting to present financial results until after they’re known and portraying them in an optimistic light when they aren’t is associated with a higher probability of class action litigation. Therefore, CFOs of companies seeking crowdfunding need to be careful not to provide any disclosure that could be considered misleading after the fact. The Private Securities Litigation Reform Act of 1995 provides a safe harbor for making forward-looking statements, but a company must use cautionary language for the safe harbor to apply, and the company can’t knowingly make false forward-looking statements. 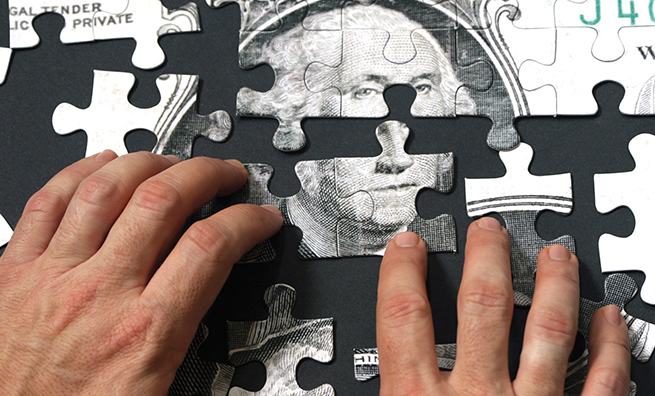 Market participants are likely to think that smaller firms seeking crowdfunding are more risky. Therefore, any disclosure that investors later see as being misleading could expose firms and their CFOs to a particularly high risk of being sued, which can damage a firm. Expanded use of crowdfunding is only just beginning. For now, CFOs should proceed with caution, carefully weighing the possible lower costs of financing along with the concomitant issues of liquidity and branding. Everyone will learn more as the regulation evolves and as it becomes possible to examine the actual data that arises after crowdfunding becomes part of the financial landscape. Gregory Gaynor, CPA, Ph.D., is an assistant professor of accounting at the University of Baltimore’s Merrick School of Business. You can reach him at ggaynor@ubalt.edu. Joel N. Morse, Ph.D., is a professor of finance at the University of Baltimore’s Merrick School of Business. You can reach him at jmorse@ubalt.edu. Mikhail Pevzner, CPA, Ph.D., is an associate professor of accounting and EY Chair in Accounting at the University of Baltimore’s Merrick School of Business. You can reach him at mpevzner@ubalt.edu. this article is very interesting, which highlights some challengs the firms that raise initial fund in terms of crowdfunding face. nevertheless, the crowdfunding is a big trend for micro and small firms, especially in its inception in developing countries.we do hope crowdfunding moves ahead sound and smoothly.